josh brolin | Wanna Catch a Movie? It’s a simple formula we have seen time and time again: A group of honest cops emerge from a corrupt police force to bring down a ruthless mob king. I’ve been getting into the mob/ gangster genre recently and I had been looking forward to the release of this film for a while. However the opening revealed that the film was “inspired by true events”, basically a disclaimer that it was going to be excessive, fast, fairly unrealistic and very loosely based on the actual history. From here on out, my expectations dwindled a little. One of the main reasons I wanted to see this film was Ryan Gosling. The boy is doing well: Blue Valentine, Drive, The Ides of March – I couldn’t wait to see what else was in store for us with his continued choice of brilliant film roles. With him were Sean Penn and Emma Stone, two more actors who I quite like. These were the film’s saving graces, and probably the only reasons that it didn’t flop too hard. They all provided quite standard performances, nothing out of this world, but that might have been down to the script – I’d like to think so anyway. Gosling and Stone were great to watch on screen together and they managed to rekindle the chemistry they had in Crazy Stupid Love, though it was more fiery and dangerous this time round. 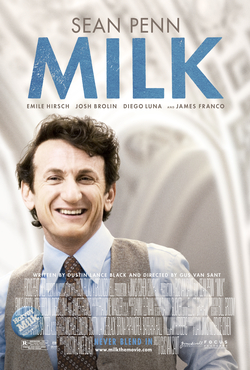 Penn was good as mob king Mickey Cohen, though I think he could have been a bit scarier. While he did capture moments of Cohen’s notoriety, I think he could have pushed further with this. The cast all carried the potential to make this film better. However it seemed they were all hired to hit some sort of stereotype. To look at the gang of good cops just proves this: We have Josh Brolin, hero with a good heart. Ryan Gosling, womaniser, bad boy and cheeky chappy. Robert Patrick, old man who still has it. Anthony Mackie, black cop. Giovanni Ribisi, geeky electronics dude. Michael Pena, annoying tag along who saves the day. It’s very predicable. Unfortunately. One of the things I quite liked was the look of overall the film. The cinematography was all very polished and the bright neon lights reflected the 50s era very well. It ran very smoothly and the gloss gave the film a nice appeal; quite a lot of films are choosing this sharp look recently. However I’m not too sure whether it suited the genre very well which is another hurdle the film falls at. Set in 1949, Gangster Squad is doing its best to rival films such as LA Confidential and Chinatown, but its glossy finish and slick feel doesn’t compare to the downright gritty realism these other films provide. This type of cinematography doesn’t coincide with such a dirty genre. I think it would have been better on the other end of the spectrum – colder, harder and bleaker. 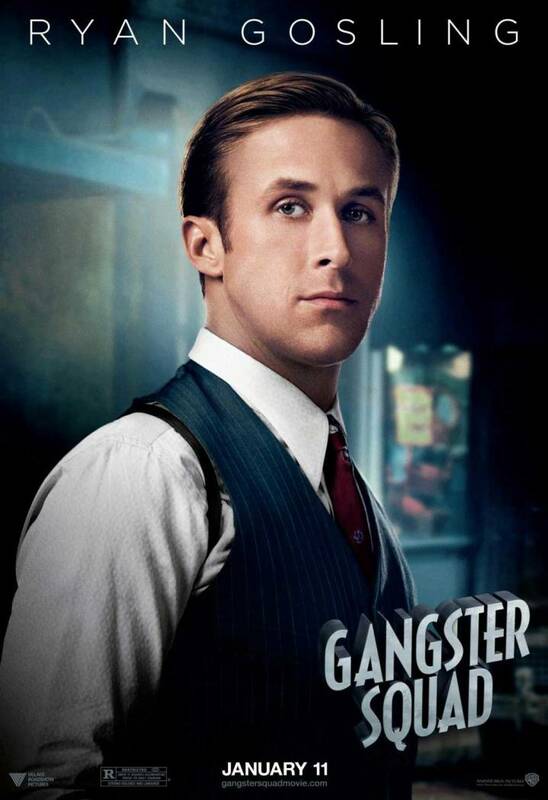 Gangster Squad does prove to be an alright film, though it had potential to be much more than that. While it’s not up to standards you would hope, it does happen to fall into a ‘guilty pleasure’ type category. It’s a fun and entertaining watch so will be a good form of escapism for a few hours, but don’t go into it expecting something new or original. This entry was posted in Film Reviews - G and tagged 2013, 6/10, emma stone, film review, gangster squad, Giovanni Ribisi, josh brolin, los angeles, mafia, Michael Pena, Mickey Cohen, Robert Patrick, ryan gosling, sean penn, Wade Williams on January 27, 2013 by Jen Horsman.